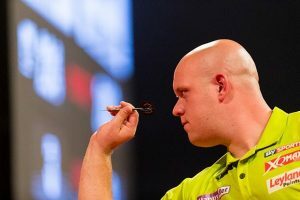 Michael van Gerwen retained his top position in the Men’s PDC Order of Merit Darts Rankings, with Peter Wright and Rob Cross placed at the 2nd and 3rd place respectively. Ian White made a significant jump of 3 ranks to break into the top 10 by replacing James Wade for the 10th position. Other significant upgrades were Gerwyn Price, Darren Webster and Alan Norris who are now placed at 11th, 13th and 17th place respectively. For Men’s WDF Darts rankings, move on to the next page! Next articleWrestling – WWE Rumors: Kane Set To Return At SmackDown 1000?